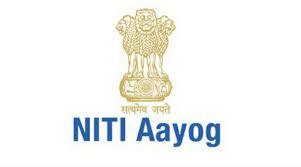 NITI Aayog will release the First Delta Ranking of the Aspirational Districts Programme tomorrow, i.e. June 29, 2018. The ranking will measure the incremental progress made by districts between March 31, 2018 and May 31, 2018. The districts have been ranked in a transparent basis on parameters across Health & Nutrition, Education, Agriculture & Water Resources, Financial Inclusion & Skill Development, and Basic Infrastructure through 49 key performance indicators. The rankings are publicly available through the Champions of Change Dashboard, which includes data entered on a real-time basis at the district level. The Delta ranking seeks to highlight the Districts who have achieved incremental progress between the months of March 2018 and May 2018.